Okay guys, I was asked to do a review about this band and then when I heard their song, I was like “Well, they’re pretty good!”. They’re one of Canada’s hottest bands of today and they’re preparing themselves for a new track on their career as they take on the American music mainstream. Their soulful, pop rock music is ready for a first dip on what would be a success in the future hopefully following the success of “The Fray” and some other bands along their same league that had major break across the globe. But first, who are “The Midway State”? 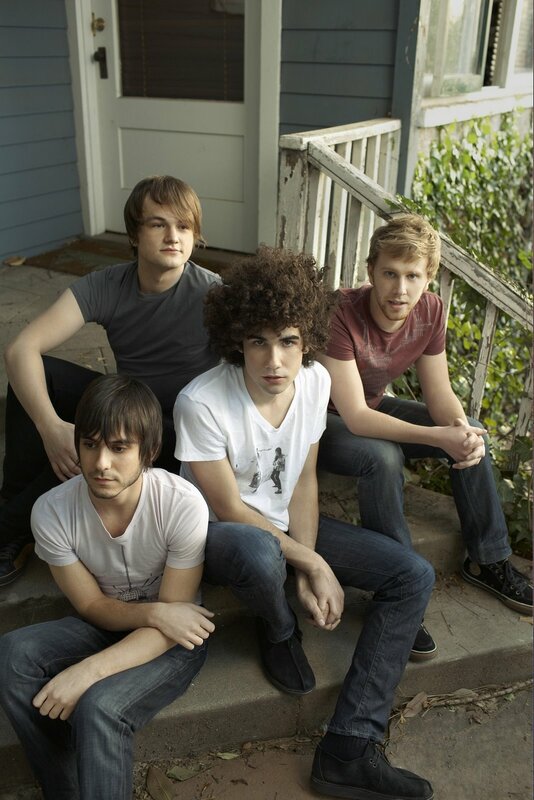 They’re a 4-piece band hailing from Toronto, Canada and their music is particularly piano rock. They’ve been trying to get some big breaks across Canada for the past 4 years or so. ‘Holes’ racked the Billboard Top 100 Canadian sales chart and is climbing. Was the 4th best‐selling album in Toronto its third week out. Has two songs simultaneously charting on the Billboard Emerging Artist Chart in Canada with Never Again at #8 and Change For You at #20. Their single Never Again continues to climb the commercial radio charts in Canada on both the Hot AC and CHR/Top 40 formats. ‘Holes’ is simultaneously in rotation at over 75% of College Radio Stations nationwide. Debuted at #24 on the Digital Album Sales Chart in Canada. iTunes featured Never Again in their prestigious Single of the Week program which generated record download numbers and glowing customer feedback. 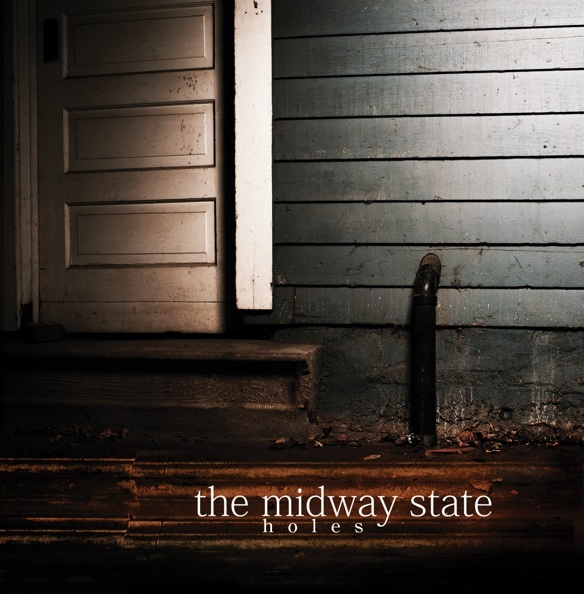 The midway state was the Featured Artist in the store’s Monthly Spotlight for August. Unaware was featured in the final Episode of the hit TV show ‘The O.C.’ which subsequently lead to their song Change For You being featured in the upcoming Hollywood picture ‘How To Lose Friends and Alienate People’ starring Kirsten Dunst & Simon Pegg. They maybe just another indie artist around the corner but they’re certainly one of the most worthy of recognition. They’re brisk enough and an exact epitome of a pop/rock band. Their laid-back music just conflates through the soul of our subconsciousness. It’s inevitable charm is packed with sang-froid that just contemplates to our punctilious taste. The piano infusion to their music is unarguably overwhelming that can be likened to the likes of The Fray and Keane. With much emotion, lead singer Nathan Ferraro delivers the piece with confidence and personality with pleasing falsettos in between. It’s actually a delight but then, not that original to the point that you have to know their names when you first hear it. The tune is actually somewhat we’ve heard before but we don’t know when or who it came from. It’s catchy enough and is ready to take on the pop music mainstream. In totality, they’re pretty much likeable in many ways and are absolutely a commendable band to listen if you’re into piano-pop-rock music. Who knows? You might be hearing this song on your local radio someday or even see them perform live on a concert. Today, anything can happen it’s just that each of the indie bands should have their own breaks or opportunities so people can actually know them. i love the review! and now i want to hear more from the band, thanks for introducing this indie band to us! Jizzka: Thanks for the comment. Much appreciated, I hope they’ll get an international release too. Hopefully! Welcome to THE BEAT REVIEW. Your source for the latest music news, reviews of your favourite UK / US artists, charts and everything in between. NOTICE: ALL music files streamed are for PROMOTIONAL purposes only. If you like what you hear, please feel free to purchase track by clicking off links within posts. PLEASE support the artists. THE BEAT REVIEW · the beat never stops.